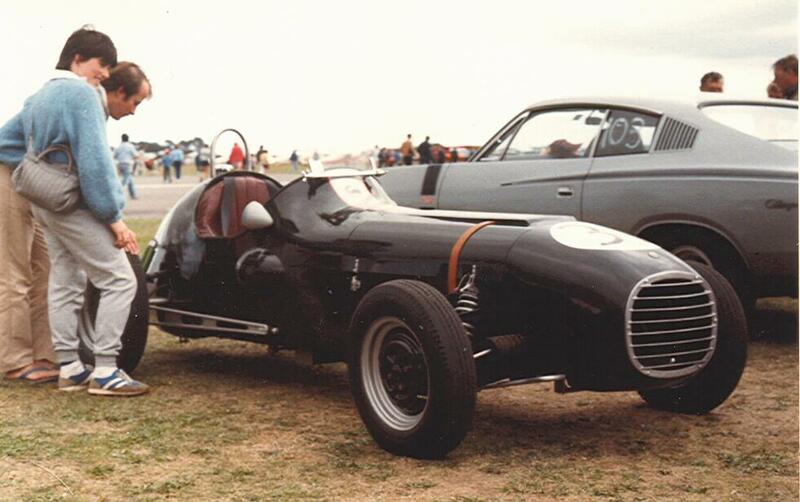 This Unit is reported to also fit the Bond Equippe models that were built using the Herald Chassis. In light of the current state of the international trade and Trump's manufactured "TRADE WARS", the price of steel is continuing to rise. In light of this, the current remaining stock of product will be the last produced until things stabilize. Currently, there are no kits left . There are still a small supply of piece parts remaining to repair damaged brackets and the link kits will continue to be available. On the early Spitfires the road spring was attached firmly to the differential using 6 studs and nuts. During hard cornering, body roll would cause the inside rear wheel to be pulled up and lose adhesion to with the road surface. 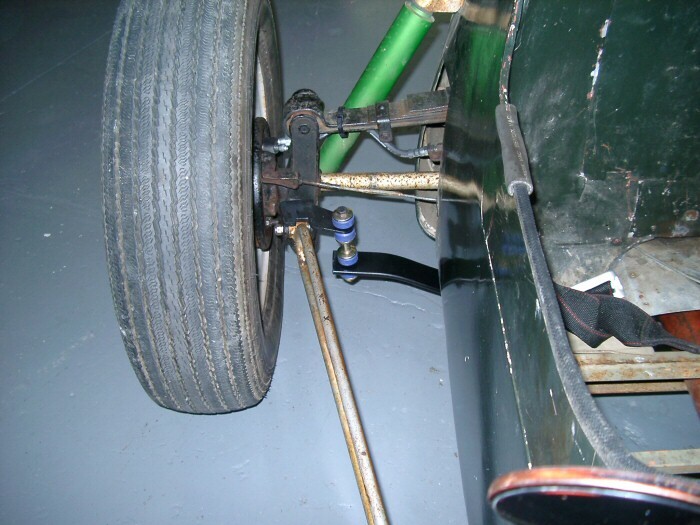 When this happened the swing axle would have a tendency to tuck under resulting in what is called "wheel tuck". This would produce a severe positive camber position of the inside wheel so if the direction is changed rapidly (as in slalom or right-left turn combinations) you have immediate and gross oversteer. 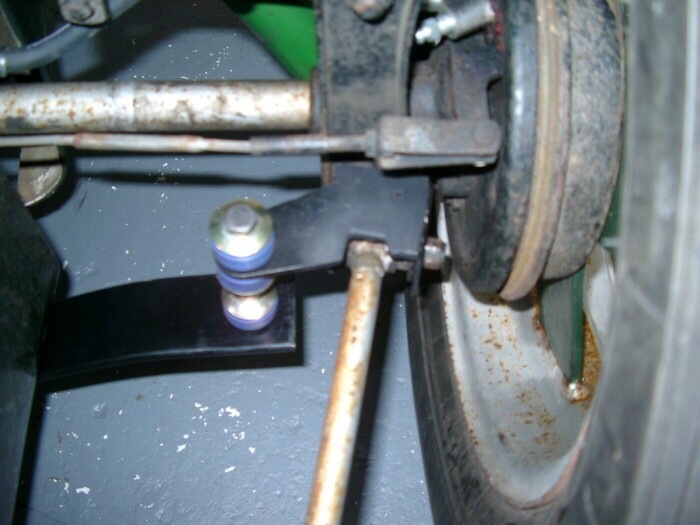 Triumph modified the rear suspension with the introduction of the MkIV model using a different way of attaching the road spring. Instead of a fixed mount, there was now a metal box with a pivot pin that allowed the spring to rock when the body rolled in turns. 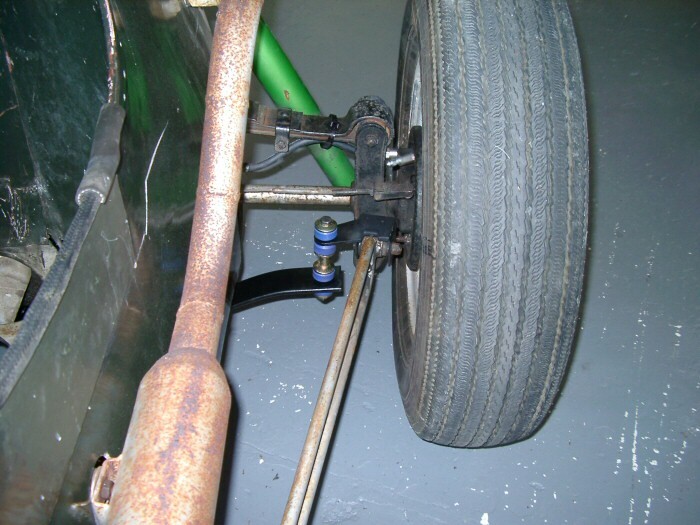 This decreased roll stiffness and allowed the inside of the car to stay on the surface and not tuck under.To compensate for the reduction in roll stiffness, the diameter of the front anti sway bar was increased. 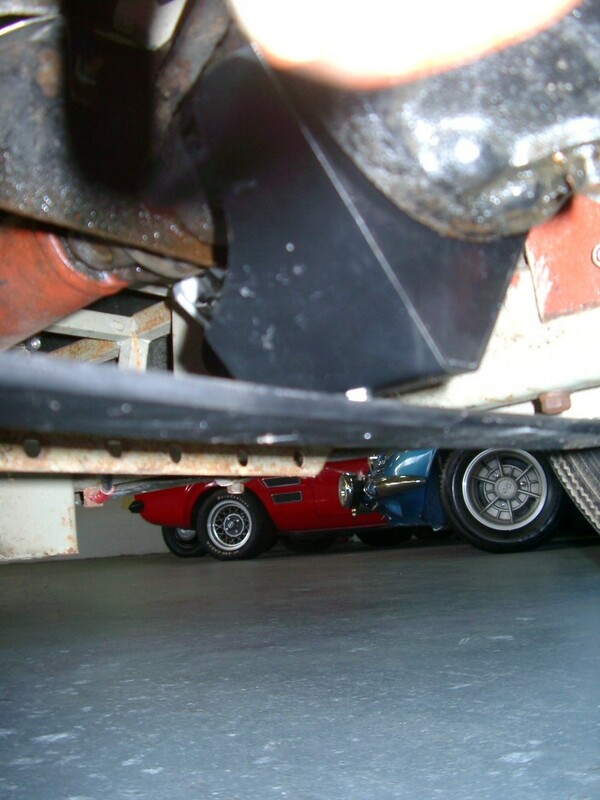 Above is a photo of the center bracket mounted to the differential. Note the photo shows the differential upside down for clarity. 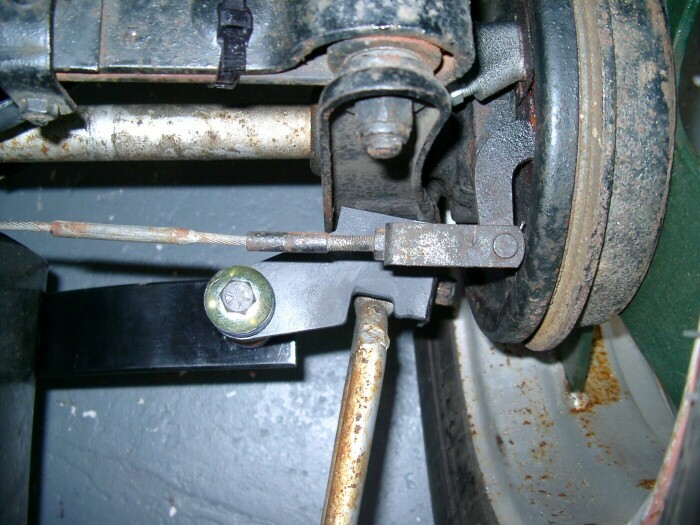 The Bracket is attached to the lower part of the differential using the bottom three bolts without modification. 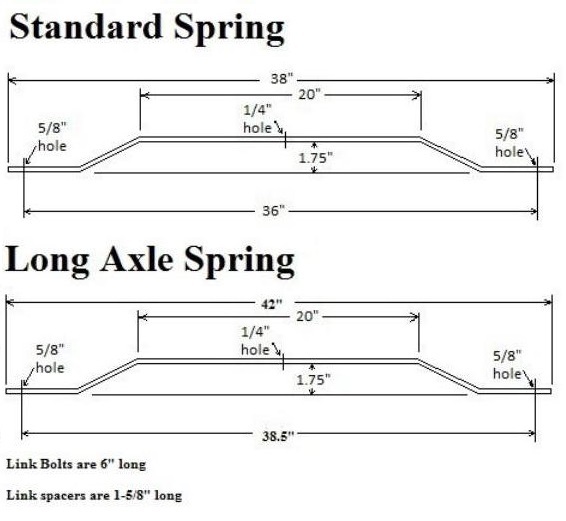 A simple explanation of what happens when you corner with the stock spring: The light loaded wheel (inside of the corner) has reduced weight and this allows the spring to push the wheel down into a positive camber position. After you go through that corner and the body rolls back to the level position, the wheel that was affected stays in a gross positive camber position. Therefore, if that wheel then becomes the loaded wheel in the next turn, you will have excessive oversteer resulting in the tendency for the rear of the car come around. The camber compensator greatly reduces this "wheel-tuck" tendency. It is a rather simple operation, but very effective. In fact it is more effective than the swing spring modification on the later Spitfires, because it accomplishes the task without having to reduce roll stiffness. An additional benefit is: At $225 (US) it is less expensive to add a camber compensator than to upgrade to a swing spring. The competition department headed by R. W. (Kas) Kastner recognized very early in Spitfire production the importance of eliminating the wheel tuck problem in competition. So a camber compensator was designed to counteract this problem. The accessory (competition part number V 170) consists of three mounting brackets a leaf spring and attaching hardware. The center bracket is mounted to the bottom 3 differential bolts. 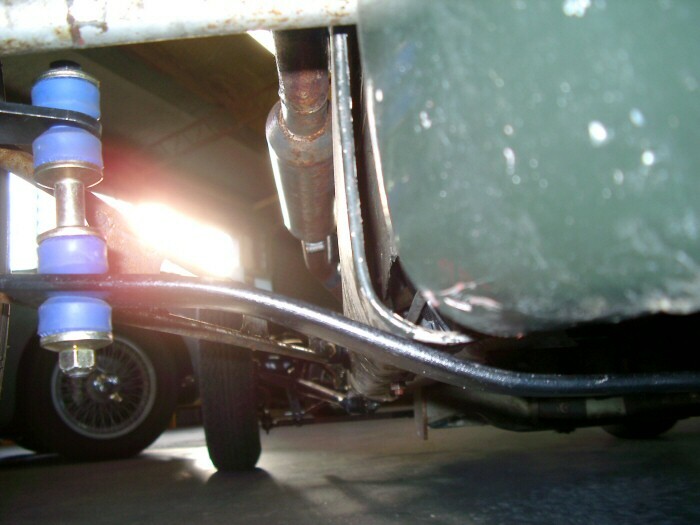 The easily installed kit is, according to Kas Kastner, "One of the best suspension modifications you can have on a Triumph Spitfire". Above is a photo of the right hand rear vertical link with Radius arm and Camber compensator attached. Above is an illustration of how the camber compensator appears when installed on a Spitfire. The new camber compensator which is now available, is based on the original design with a few minor modifications to reduce assembly costs. Also, link hardware includes Polyurethane bushings, where the originals were rubber. I have established standard prices on piece parts for those who have an original camber compensator that needs replacement parts or for people who have worn out or damaged parts from my camber compensators. Please contact me by phone or email if you have any questions. 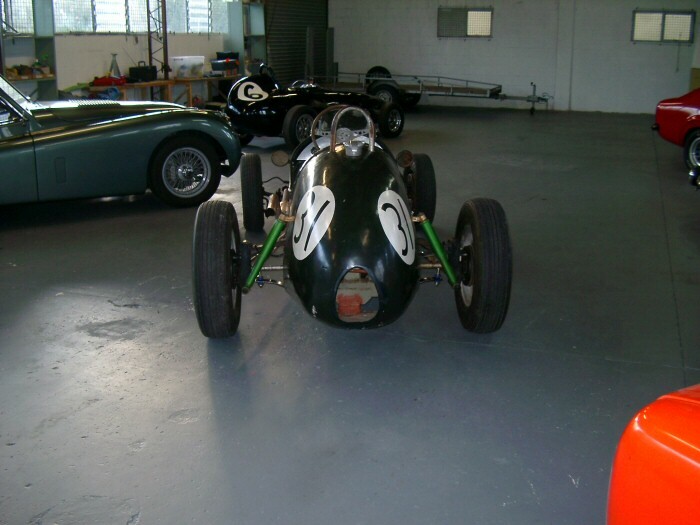 Below are PDF files which document a historic race car which now has one of these camber compensators.